A Qualitative Study on UK Fertility Patients: Why Travel for Reproductive Care? A recent qualitative study, Transrep, explores the reasons that UK fertility patients chose to travel abroad for fertility treatment. In this IVF Podcast, Professor Lorraine Culley discusses the study’s primary findings and speaks on the growing trend of cross border reproductive care — including popular destinations and patients’ overall experiences. 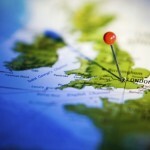 Why do UK Patients Travel Abroad for Reproductive Care?